Microsoft has announced a major partnership with GE which should bring the power of the IoT to the industrial world. The deal between Microsoft and GE Digital will see the companies attack the Industrial IoT market (IIoT) with a combined offering that should benefit firms across a number of industrial areas. Going forward, GE Digital will move Predix, its IIoT app development platform, on to Azure, meaning that companies using the service will benefit from Microsoft's end-to-end cloud expertise. Predix offers a range of IoT-focused apps, including flagship applications Predix Asset Performance Management and Predix ServiceMax, and is also open to customers to create their own services, with the likes of BP and Maersk regular users. Recent figures suggest that the IIoT market will be worth $1.1 trillion in revenue by 2025, making it ripe for innovation end expansion. 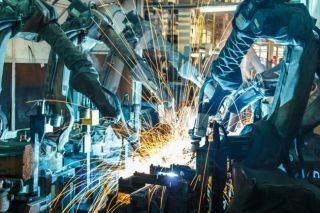 “Every industrial company will have to master digital to compete in the future, connecting machines and making them more intelligent to drive efficiency and productivity,” said Bill Ruh, chief digital officer, GE and CEO, GE Digital. The deal will also see Predix now better integrated with Microsoft's top cloud tools such as Azure IoT and Azure Data and Analytics, with GE Digital also utilising Azure across its business for additional IT workloads and productivity tools. “The industrial sector plays an important role in fueling economies around the world,” said Judson Althoff, Executive Vice President, Microsoft. “With this strategic partnership, GE and our mutual customers will benefit from a trusted platform with the flexibility and scalability to deliver unprecedented results and help advance their business potential." What is blockchain? Check out our guide here!